Picador poet Rachael Boast's poem Belle Époque has been awarded the first prize. Read the winning poem here. Picador poet Rachael Boast's poem Belle Époque has been awarded first prize in the Bristol Poetry Prize 2015. We spoke to Rachael about the inspiration for the poem. 'Belle Époque is one of those poems that arose from something someone said, for which several nuances presented themselves: 'What we get is a sidelong view of her'. They were reading Nadezhda Mandelstam's memoir, Hope Against Hope, 'her' being the Russian poet Anna Akhmatova,' Rachael told us. your sensitive hands turning the yellowed page. Read 'The Place of Five Secrets' from Rachael's 2013 collection Pilgrim's Flower. 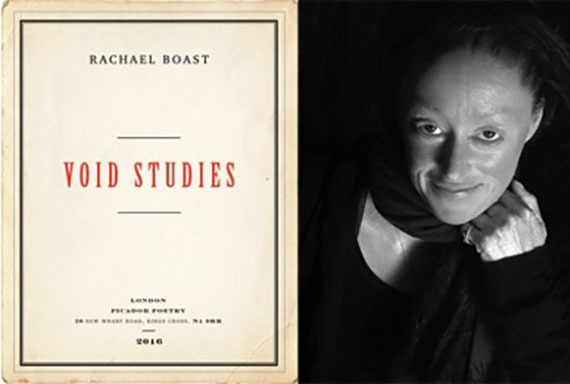 Rachael's new collection Void Studies will be published November 2016.